By Jim Boyce | Mike Peters, a relentless and enthusiastic supporter of China’s food and wine scenes, died last Thursday in Beijing. Mike, an editor and writer at China Daily, passed from pancreatic cancer just a few weeks after entering hospice care. Mike was a lifelong journalist who practiced his craft both in Texas and Alaska before moving to Beijing in 2009. He wrote hundreds of articles about the city’s—and country’s—restaurants, bars and wines, including about top local wine producers. His was the epitome of a life well lived. He knew food and wine, and spent years telling the world about the sophisticated offerings in his adoptive country. He nurtured younger staffers writing about the subject. He did it with such class and geniality. He had a droll and intelligent sense of humor that was disarming. He was unfailingly kind and generous, always inviting friends to a special restaurant or event he had discovered. Mike wrote regularly about Chinese wine and visited top regions, too, from Ningxia in 2015 (“The grapes that Mike Insley is plucking are not the fat table grapes that were favored in Ningxia just a generation ago. They are smallish, the size of blueberries, and their flesh is sweet as your grandma’s pie”) to Penglai in Shandong mere months ago (“At Treaty Port, our noses are in Ruffle’s 2014 rose, a pleasant bubbly that’s mostly grenache with a little sangiovese to give some floral notes”). He supported this site, writing about our annual Grape Wall consumer wine challenge and joining as an observer several times, including for this special edition on Chinese brands. He also wrote about sibling projects like World Baijiu Day, posting even while in hospice care, and the annual charity initiative Maovember, to which he donated. 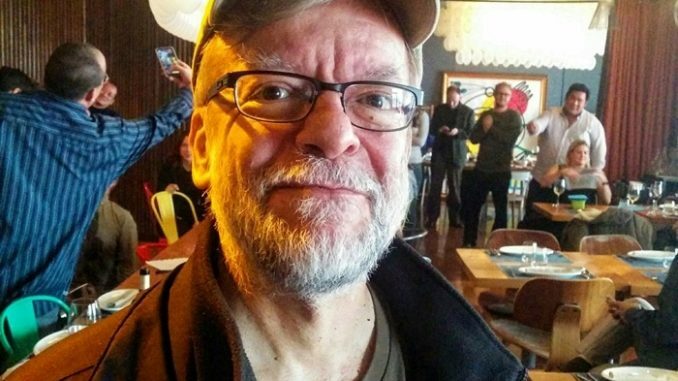 A GoFundMe campaign raised nearly USD30,000 to help with Mike’s health care costs. After his death on Thursday, his colleagues, with support from local restaurants, bars and drinks suppliers as well as The Beijinger, organized a memorial at TRB Copper in Beijing. The attendees raised over rmb45,000 during an afternoon of wine, cocktails and snacks that Mike would have appreciated. The attendees also raised more than a few glasses to a man whose enthusiasm will be missed. Check 京B Daily for headlines, job openings, food and drink deals, weather updates, and more. Also see sibling blogs Grape Wall of China and World Baijiu Day. A horse walks into a bar. “Hey,” says the bartender.